Very interested in how the incredipole and pad works for you. Used it this weekend on a truck. Did a great job helping get to hard to reach areas. I like the telescopic handle is light weight even when at full length. The pad itself does a nice job of cleaning with minimal to no marring. It`s pretty much like the microfiber madness wash Mitt on a pole. 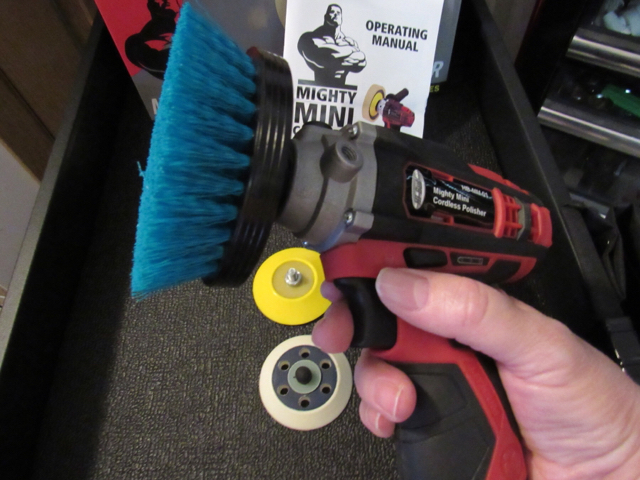 It also fits into a 5 gallon wash bucket so you can scrub it against the grit guard. I`d recommend it for trucks and SUVs. Kenzo (IGL) or Zipang (Kamikaze)? Tried to get some of the lower level IGL last year (Poly, Quartz, Quartz+); IGL folks were quite nice but alas, no dice. He may mean Zipang. It is back in stock. I cant handle that price for a coating though. DA size thread. To add upgraded BP or brushes. Now back to watching the Vikings WIN !! Are you the same guy who bought out the last of the white Hybrid pads? Aw man. Now you`re getting the other colors, too? Not sure if I bought them all out, it was only 115 of em and 115 orange hybrids, LOL. These pads are the SDO pads and the Rupes Wool. bought cure last week. quartz max just showed up. reload was great but a pain to apply on paint. The price on the Scangrip Sunmatch light is up to the retail price again 138$. So I`m happy that I got it on my shopping late saturday night lol. I have a little problem with it though. Placed it in the charger and the charging light was red. And did not switch to the green light like I think it`s suposed to be doing. 24 hours in the charger and watched it from time to time. But the light works and will see how long it hold it`s battery time when used. Hi i also bought one Sunmatch with great price(despite having a sunmatch 2 also) and experienced the same issue and email scangrip about it. They quickly replied saying that only the first ones change the light charging from red to green, nowadays it stays red like the sunmatch 2 stays white, with the 5 bars being the correct way to know it´s charged. They also sent me an updated pdf users manual. Mouth literally dropped. WHOA. Nicely done, Fly!!! Ive been using Quartzmax for a few years and two weeks is about all I get on a car that sits outside 24/7. 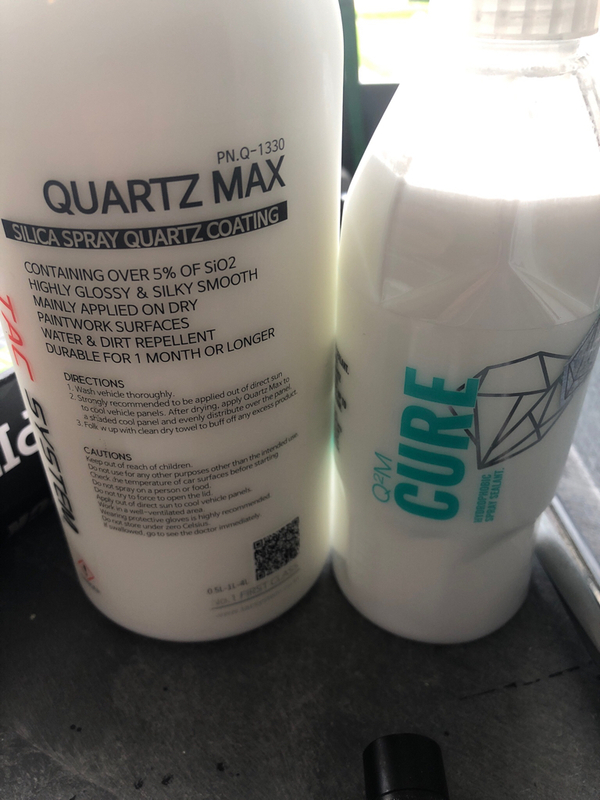 Try a side by side comparison of Quartzmax and Cure. I’ve always thought they were S Korean brothers. The best drying towel I’ve ever used. Grabbed a few more during last sale on AG to add to my collection. Looking forward to trying out the NEW formula of the Xtreme Iron Remover and the Tire Coating this weekend. Might have time to do the headlight coating too!